The perfect introduction to crocheting with wire. 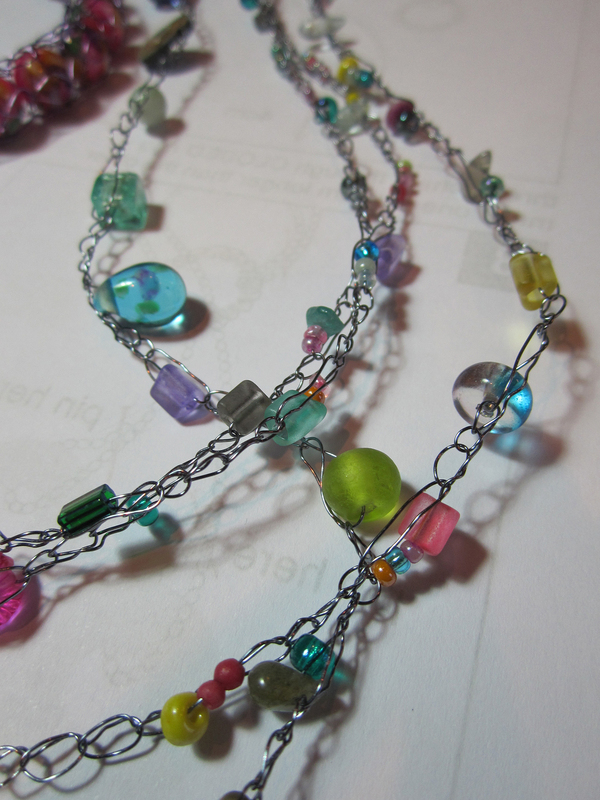 Learning to make beaded crochet jewellery will open up a whole new world of creative possibilities. If you are a Beader, a Knitter, an Embroiderer, a Weaver or just plain nutty about everything textile, here is a class for you. With over 10 years of teaching these specialist wire techniques Teri will give you tips and tricks that you won’t find in any books. If you are new to crocheting with wire this Beginners Wire Crochet Class is perfect for you - specifically designed for complete beginners even if you have never crocheted before - you will be amazed what you can achieve with this highly versatile technique. No experience necessary - just nifty fingers! With small class sizes individual instruction is possible, so no-one is left struggling on their own. 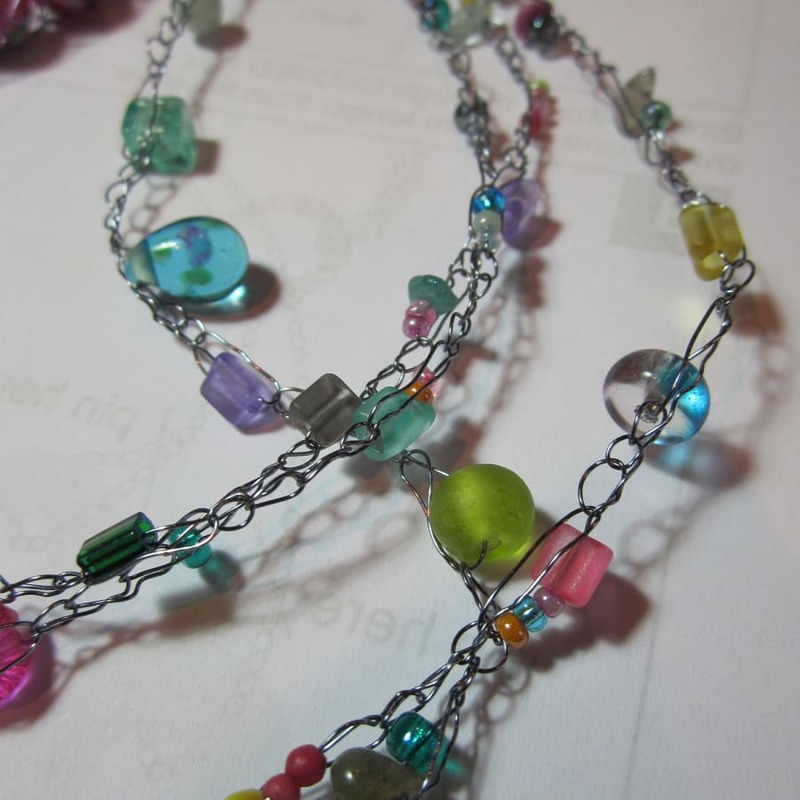 All materials for this project are included in your fee, including steel crochet hook, gorgeous coloured reel of wire plus a large choice of beautiful beads and a step-by-step project book to keep. Take home whatever materials you have left over to continue making at home. If you wear glasses for close-up work you will need to bring them. All tools will be provided. Classes run from 10.30-4.30pm. We break for lunch at 1pm for an hour - you are welcome to bring your own lunch or pop out to the nearby shops and cafés. Free tea, coffee and biscuits are available throughout the day.